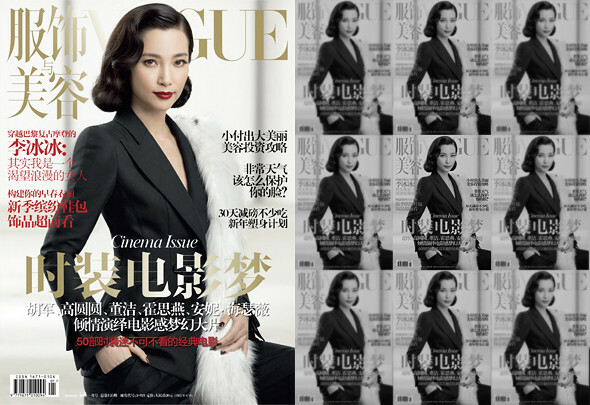 Actress Li Bing Bing (李冰冰) is the first celebrity to grace the cover of 2011 Vogue China cover. Jumping onto the androgynous menswear trend, wearing a suit from Giorgio Armani Spring/Summer 2011 collection. Photographed by Max Vadukul, check out her 12-page spread including behind-the-scenes. Unlike the cover, she wore dresses from Jason Wu and Lanvin with Lydia Courteille Vintage jewelleries. I adore the black and white photographs, gives an old hollywood vibe. The shoot was a great improvement from her April 2009 cover and editorial. 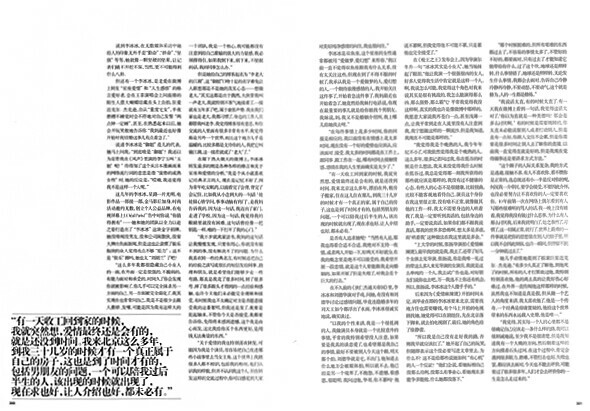 I'm incredibly impressed with Vogue China and already have a few copies at home. Can't wait to see what else they have to offer in 2011.
my comment is just a huge general opinion i have. i don't like the arm over the head pose its like.. "smell my armpits please!" pose. haha.